Posting bail bonds in Hartford, Newington, Southington, New Britain and all surrounding towns. 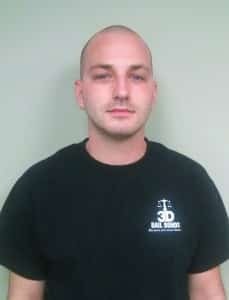 Tawn, also known as “TJ”, is a local Hartford bail bondsman serving Hartford county in Connecticut. He’s licensed to post bail bonds in every CT town where there is a police department, courthouse, correctional center, or youth detention center. There is nothing worse than after being locked up for hours, the minute you are free, to be stuck with loads of paperwork as part of the bail release. This is why the agents at 3-D are highly trained to accelerate the bail process by always being prompt and accurate when serving our customers. Tawn is very familiar with the bail process and paperwork necessary to post bail at the Hartford police department. As a Hartford Bondsman, he’s the person to contact for details when someone is arrested in Hartford CT. He is genuinely kind and understands the difficult situation that follows an arrest. The fact that he can give freedom back to someone after an arrest and the rejoice of seeing a grandmother reunite with her grandchild is priceless to him. As a young adult, he understands the urgency to get to the police department and post bail the minute 3-D Bail Bonds receives the call because sometimes time is everything. TJ is a Wethersfield resident, a wholehearted Denver Broncos’ fan, and a very skilled skier. His favorite place to ski is Mohawk Mountain in Cornwall, CT. During his free time, he enjoys time with his family and young nephews. As a bail bondsman at 3-D Bail Bonds, Tawn is highly recommended and appreciated by everyone he meets.